Oh Hey There! : Hair || Tresemme Perfectly (un) Done Range. Left to Right: Tresemme Perfectly (un) Done Wave Creating Sea Foam, Weightless Moisturising Conditioner & Dry Defining Spray. In Superdrug a few weeks back I noticed a new Tresemme haircare range. If you read Oh Hey There Hair often you will know I am a great fan of the Tresemme Naturals Conditioners and was very excited to see this was another silicone free one! 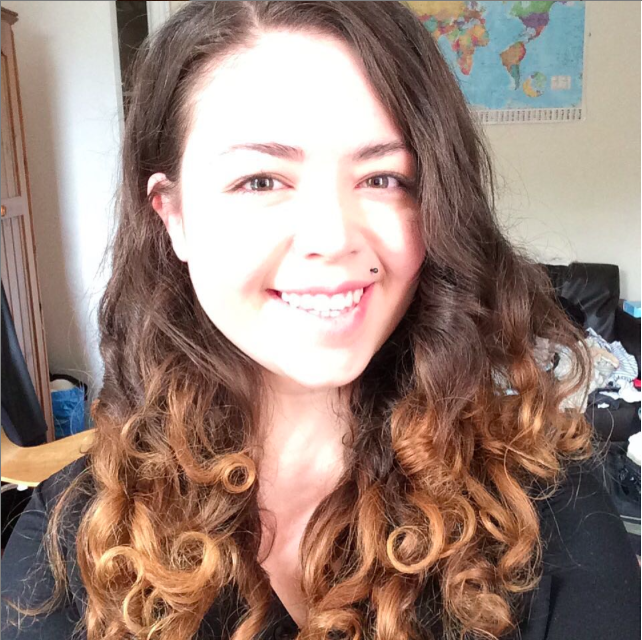 Whilst is is a range aimed at wavy hair rather than curls, I couldn't resist giving them a go and seeing how they worked with curls! The first product I tried was the conditioner. It smells lovely, conditions well but is also very lightweight. I often find it hard to find the right balance between conditioning and lightweight but I think Tresemme have done it well here. I personally prefer something a little heavier, like the Tresemme Naturals conditioner (this is basically a lighter version) but I still really liked it and I think this will be a lot better for those with looser curls and waves or those with finer curls. As it is light but still moisturising, it is also quite good as a co-wash.
After using the Weightless Moisture Conditioner I tried out the Wave Creating Sea Foam. The first think I noticed was how amazing it smelt! It is a very light, refreshing smell that is also quite natural. I also really liked the formula as it was lightweight, not sticky making it easy and pleasant to use! It also gave good definition and didn't leave my hair feeling dry, which were two things I anticipated could be an issue with a foam. I think this one is best if you like light to medium definition and hold as it doesn't add any weight. Sadly, I think the Dry Styling Foam was a little lost on me. It may well work very well on wavy hair but I would not recommend it for curls. I did see a little extra definition but it is just not a product for curls. I am gutted about this as I love that it is spray in, making it easier to distribute through hair. This would have been so handy for mid day touch ups without breaking up curl definition! Overall I do really like the range. I think Tresemme has really done well to cater for its target market and I love that they have got a few silicone free products in there. I highly recommend these products for anyone wanting some definition and control, but wants something lighter than many of the products out there. Have you tried the Tresemme (Un) Done Range Yet? Its available with 1/3 off at Superdrug now!